Rita Leistner is a Canadian photographer known for Unembedded: Four Independent Photojournalists on the War in Iraq, The Edward Curtis Project and Looking for Marshall McLuhan in Afghanistan. Her photographs have been published widely, exhibited internationally and collected by national institutions. Rita has an MA in comparative literature, has planted over 500,000 trees in Canada, was an adjunct professor of the history of photojournalism at the University of Toronto, and is represented by the Stephen Bulger Gallery. She wrote the chapter on war photography for the new Routledge Companion to Photography and Visual Culture and won a 2018 World Press Photo Digital Storytelling Award. 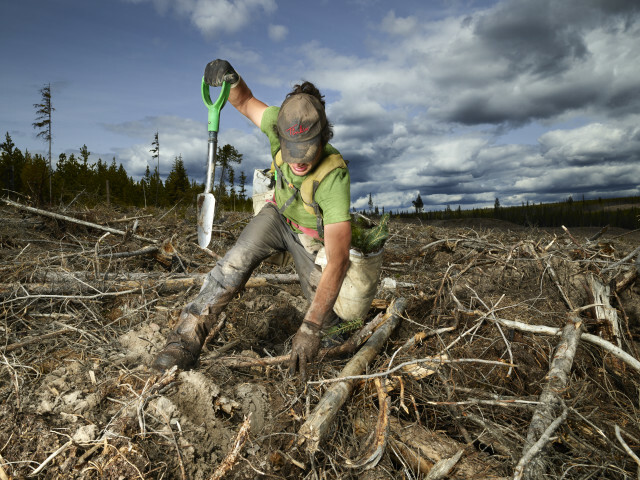 Her latest work is "The Tree Planters" - heroic large scale live action portraits of the men and women reforesting Canada by hand and shovel one tree at a time.